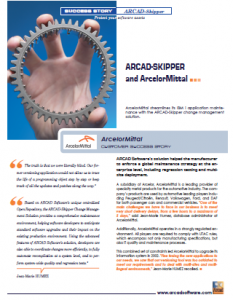 ArcelorMittal simplifies the maintenance of their IBM i applications using ARCAD-Skipper. Allows shared source to be merged easily. 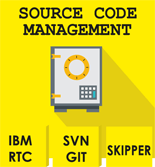 Simplifies the management of multi-developer environments with simultaneous modifications on a source member. Control who can change which source and when. Share the same component between developers. Incorporate changes from an external source, for greater flexibility in multi-system environments. 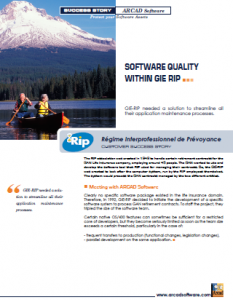 GIE-RIP required a solution to simplify their application maintenance procedures. 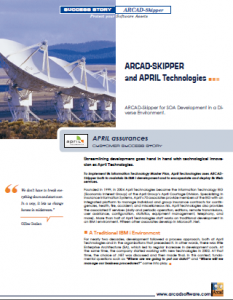 April Technologies use ARCAD-Skipper to maintain their IBM i applications and to encapsulate and deploy Webservices.